This video gives you IEP meeting preparation tips. This video gives you preparatory tips for your IEP meeting. This video was created by the Educational Resource Specialists at Parents Helping Parents. © 2018 PHP. All rights reserved. 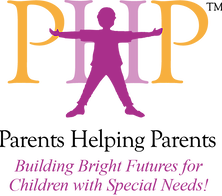 PHP logos are trademarks or registered trademarks of Parents Helping Parents.